After reluctantly saying goodbye to green grass and shady areas, we headed off towards Longreach. Again, more desolation by way of dry land and no crops, poor cattle and roos littering the side of the road. I was becoming accustomed to seeing emus in the paddocks but can never become accustomed to the sight of stock in poor condition. First stop was at Tambo and I thought it was a lovely little town. I couldn’t resist taking photographs of some of the beautiful buildings in the town. We spoke to the lady in the Information Centre who told us that even though they know the kangaroos are pests, most of the home owners in the town water their grass for them to pick at during the night and leave bread out for the emus. Like many of us, they also feel for animals which are starving or thirsty through no fault of their own. I like this little town. The Railway Station also played a role in the formation of the ALP. Of course, Barcaldine has its fair share of pubs. A “C” Pattern Windmill is a feature of the town. 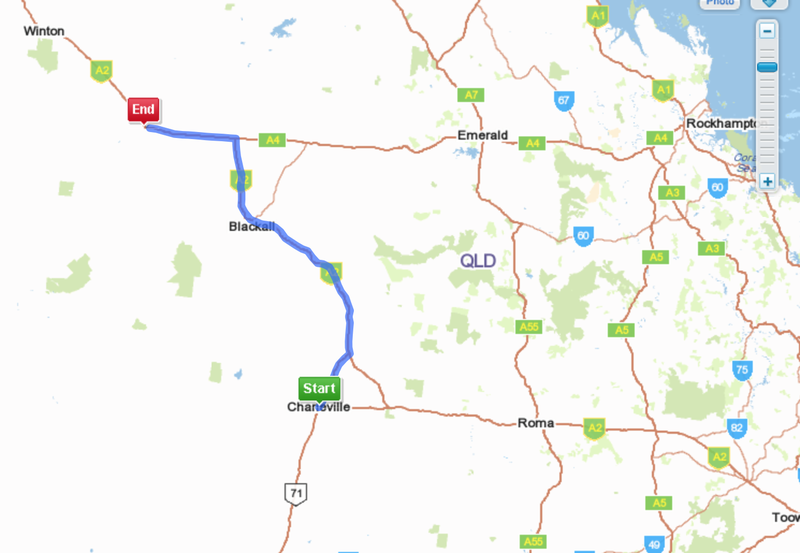 Whilst we enjoyed Barcaldine very much, we needed to head on towards Longreach to our Caravan Park for the night. 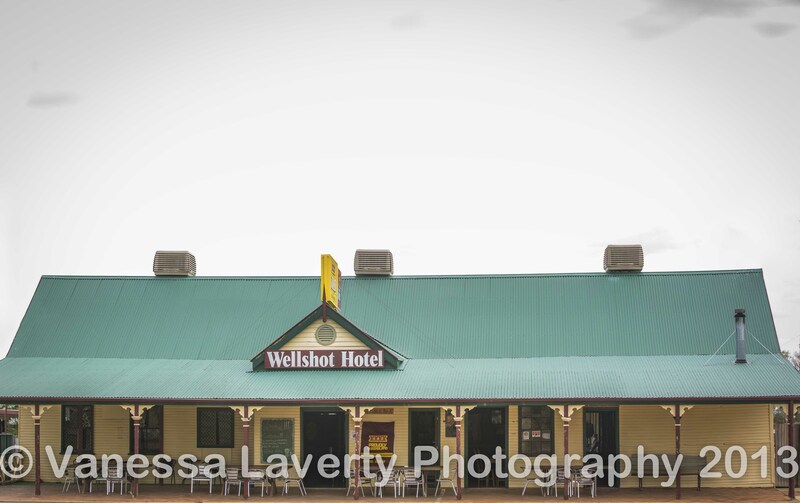 On the way, we passed through Ilfracombe and I couldn’t resist a photograph of the Wellshot Hotel. The paddocks were still dry and desolate. We identified only two van parks in the town and after checking out the other one, we settled, reluctantly, on the Longreach Tourist Park. Why reluctantly? Well, I guess it was just too hot and perhaps I was a tad cranky. I had looked forward to going to Longreach for quite some time but when I saw the lack of shade at the caravan park, I was less than impressed. After coming from Charleville where the owners did everything they could to ensure loads of green, this was a bit of a shock. The swimming pool was a welcome relief though and was quite a good size with a sun-sail over the shallow end so that helped my mood. The camp kitchen was also well kitted out with a television in the corner as well. The site for the tent wasn’t really great as we were camped on top of an ant farm. The staff were just attentive enough at reception but that was about it. I imagine in winter during the ‘season’, things are probably very different. Of course there won’t be any more shade but I’m sure it’s a lot cooler then. We were going to stay 2 nights but in the end decided to stay just for one and move on to Winton. Whilst at the campground, the wildlife made itself at home. Kangaroos came in on dusk picking at whatever green they could find, which was barely any, then they headed to the pool area where there was more green grass than throughout the rest of the entire park. I was keen to take photographs and so was being deathly quiet. Then I noticed everyone just treated them as if they weren’t there. They didn’t move much when people passed them so I moved in closer. The next morning, as we began to pack up, I heard a faint noise and as I looked outside the tent, a pair of Brolgas was moving around quite unfazed by any passing people or car. I’ve never seen a Brolga before, so this was particularly exciting for me. They hung around our campsite for a couple of hours. We kept Pepe on a short lead. 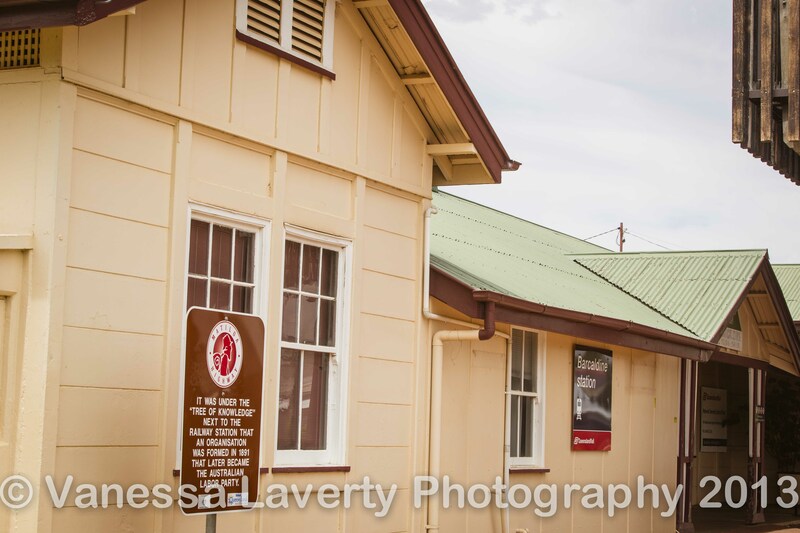 In my next post, we visit the Australian Stockman’s Hall of Fame and head on to Charters Towers.